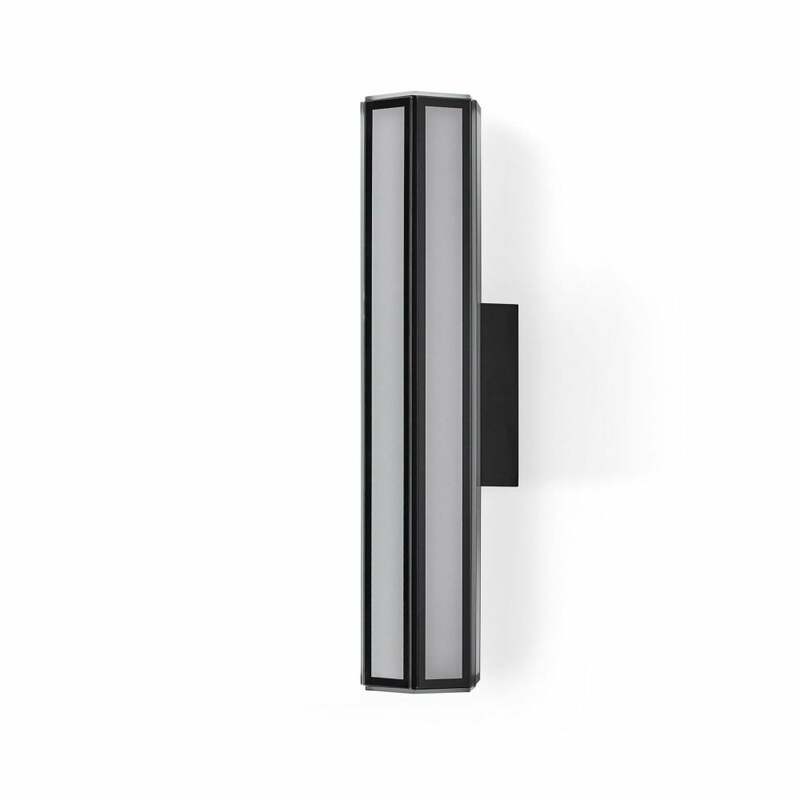 The Lanterna Wall Light exudes the best of contemporary Italian glass design. The bold yet elegant black lacquered frame, paired with simple white and black glass, provides a strong structure during the day and a luxuriously ambient light from dusk. Effortlessly timeless, the Gallotti & Radice Laterna Wall Light will complete any modernist design scheme from masculine and minimalist industrial styling to softer yet structured art deco schemes paired with on trend geometrics and sleek furnishings. Black lacquered metal structure covered by extralight screenprinted glass in two colours, white and black. LED light (30 Watt).